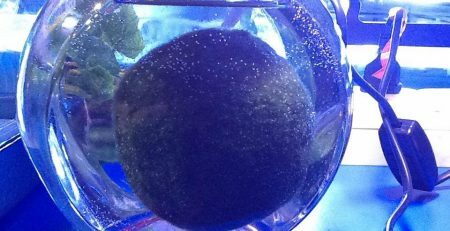 The domestic Marimo Ball is a very low-maintenance addition to any water-inclusive environment and can actually lower the algae control needs of the area in which it is placed. Marimo are rumored to attract both the heart’s desire (in love) and good luck; with that kind of positive reputation, who wouldn’t want to work some Marimo magic into their space? Marimo are versatile in their care needs and decorative potential, and thus can make a lovely addition to any space in need of a little life, fun, and color! Their rich green hue and soft, velveteen exterior make them a whimsical addition to any aquarium or water-inclusive terrarium, and are even alluring enough to allow Marimo to be a an attraction in their very own, Marimo-centric habitat! Marimo of all sizes can add beauty and creativity to decorative spaces! 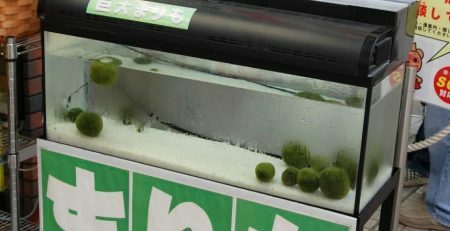 Perhaps one of the simplest decorative utilizations of the Marimo involves the filling of a simple glass container (be it a fishbowl, vase, or other decorative element) with rocks and/or sand, a few underwhelming elements such as colorful tank-fillers, twigs, or coral, and adding in the stars of the show: Marimo! This habitat allows you to optimize the conditions such as water temperature and utilization of salt and club soda to meet the growth needs of your Marimo, and allows the beauty of the Marimo to be fully highlighted and appreciated. To really ramp up the “WOW” factor of your simple Marimo aquarium, use filler items, such as rocks, with small contrasting pops of color in them. Warm and neutral colors will allow Marimo’s vibrant green hue to really shine, and your little Marimo will thrive in its specialized environment! 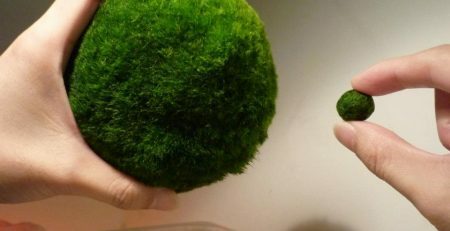 The most recent Marimo decorative craze to hit the creative market involves the pairing of a Marimo and some of its compatible aquatic decorative elements with a symbol of one of the Marimo’s essential life sources: the light bulb. Repurposing light bulbs is a quick and easy process, and the end product can be used to create anything from unique aquariums and terrariums to vases, DIY oil lamps, and decorative centerpieces! Once your light bulb is ready to be transformed into a unique home for your lovely little Marimo, simply add desired elements such as small aquarium pebbles or rocks and other aquatic elements as well as a small Marimo, and voila! In no time you have created a beautiful habitat for your lucky little friend! 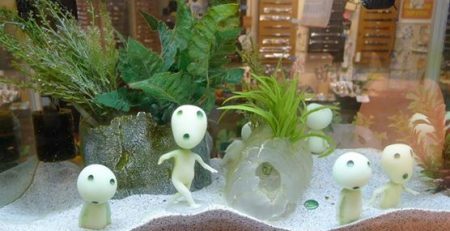 Another decorative idea for your little Marimo that ties into its popular Japanese heritage is that of creating an aquatic Zen garden for your Marimo to relax and frolic in. To accomplish this lovely yet simple piece, you will need a small fishbowl, one or more smooth stones with desired words and/or symbols on them, and aquarium rocks or sand in a desired color and shade. To double-capitalize on the Marimo’s rumored luck and love attracting abilities, you can use color schemes and stones centered on these desires! For example, a love-themed Zen garden might deature warm-hued rocks or sand, a “Love” stone, and a lively, contrasting Marimo or two (for added power)! 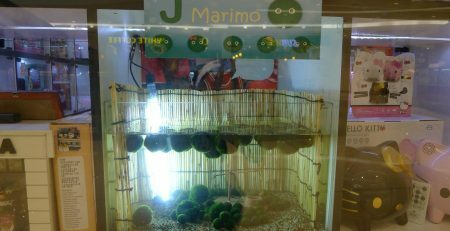 In no time you will have a lovely (and even possibly lucky) little underwater playground for your Marimo! 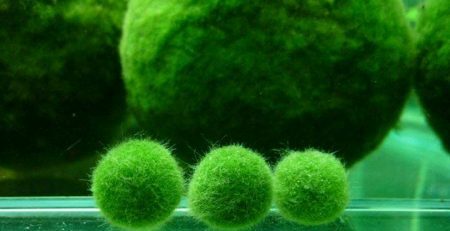 Marimo can also be used to add a soft, lively splash of color and texture to an already-commissioned aquarium. 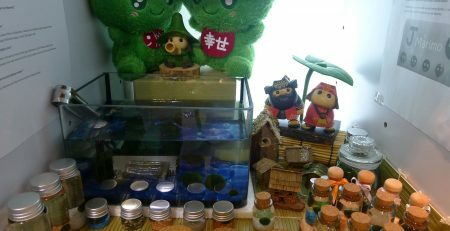 As Marimo require little special care and can survive and thrive in very basic aquarium conditions, they are actually ideal tank-mates for a large number of aquatic species. 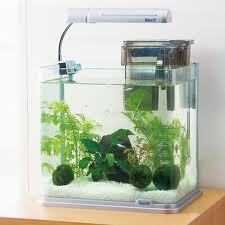 Additionally, Marimo can provide algae-control services for your aquariums! Rather than having to clean rock and other sedentary elements in your aquarium to remove undesirable algae growth, simply add a few Marimo into the tank. Their efficient use of nutrients allows them to out-compete other algae forms in their environments, dramatically decreasing the level of non-Marimo algae growth present! This natural solution to algae growth and green water not only saves you time, work, and money, but it also eliminates the need for potentially harmful chemical treatments in the water. Not only will your aquarium look cleaner and gain a fresh dash of Marimo beauty, but the other tank inhabitants will enjoy their cleaner, fresher, and reduced-chemical water! They look particularly nice when carefully placed in the bottom of an aquarium with other naturalistic decorations, like driftwood, earth-colored rocks, or other plants. The balls are buoyant, and will dance around if they get caught up in the current of an aquarium filter. If you’re particularly fond of the fuzzy spheres, you can cluster a number of them together to get a “rolling hills” effect. 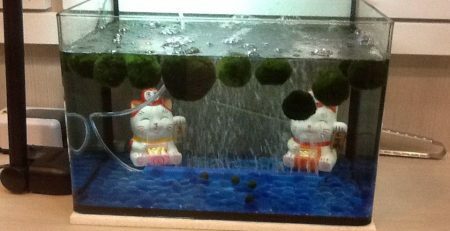 Often, collectors use one or two Marimo balls as the centerpiece of a small moss aquarium. Their rich green color goes great with earthy pebbles or even blue glass stones. Others prefer to keep their Marimo ball in a vase or small jar. These can be placed anywhere, like bookshelves or countertops, or even used as table centerpieces at home or for a wedding.